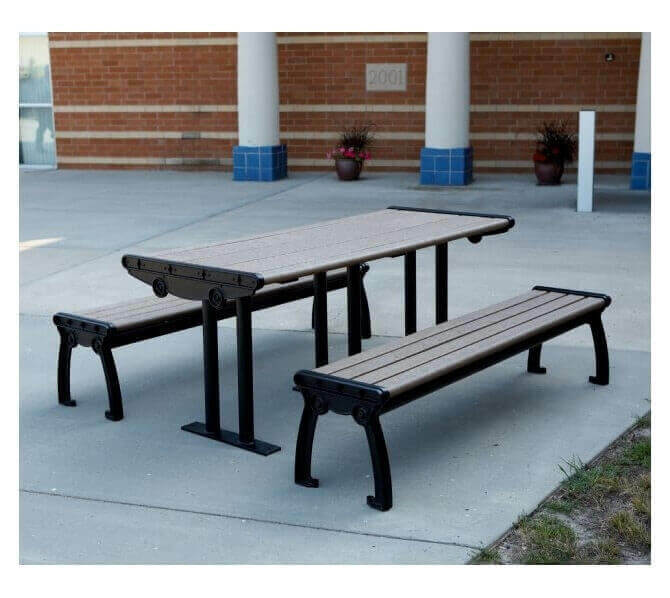 Our Park Ave recycled plastic picnic table with cast aluminum frame is perfect for gardens, parks, or residential communities. Made of heavy-duty recycled plastic slated lumber for the top and seat, this picnic table won't warp, crack, or rot, providing many years of low maintenance service. 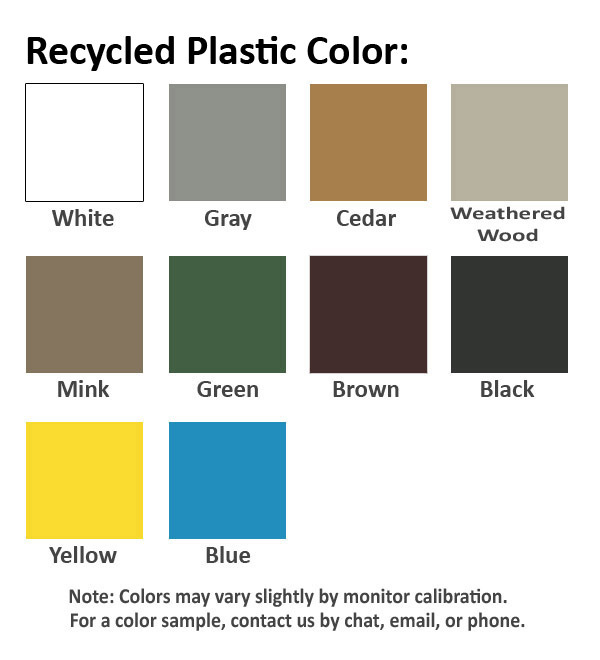 Choose a color for the slats from our cool color selection to be blended into the recycled plastic resin and the UV protectant, preventing fade and repainting. The frame consists of solid cast aluminum that is strong as it is durable. 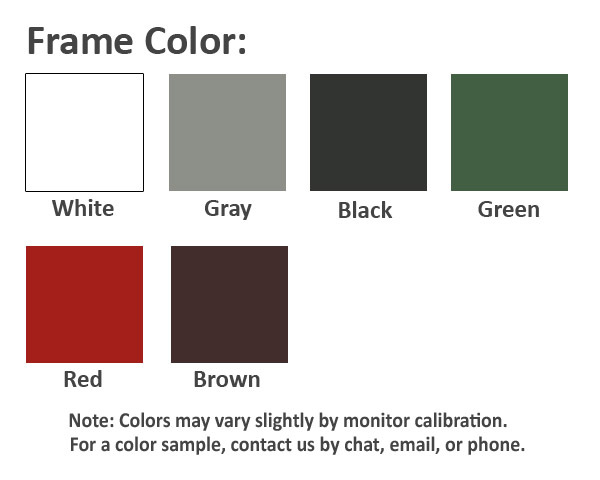 Powder-coated for a brilliant finish with your color choice to complement the tops and seats. Modular design allows the seats to be arranged for your site's specifications. Available in convenient 5 or 6-foot lengths. Portable stand-alone model with a surface mount option from casted holes on the feet. This product is made in the USA and is backed by our 5-year commercial warranty. • Dimension: L 60" or 72" x W 32" x H 30.5"
Weight 405 lbs. or 437 lbs.